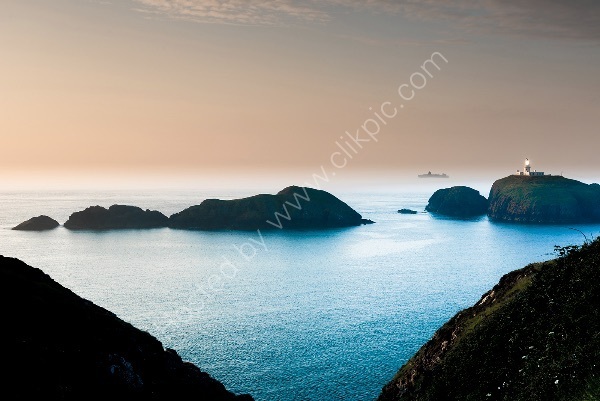 I went down to strumble Head in north Pembrokeshire on this sultry June evening to photograph the lighthouse. I like this composition where a tiny stream has, over many thousands of years carved away the cliff to create the V shape that can be seen. As I set up the shot, a mist formed at the horizon and then a ferry, on its way from Fishguard, to Ireland appeared in the mist. All I had to do was time the shot for when the light in the lighthouse was illuminated and Bingo!